Thursday, Apr. 25, 2019, 6:30 – 9 p.m.
Join us for art, music, poetry & several kinds of performance! 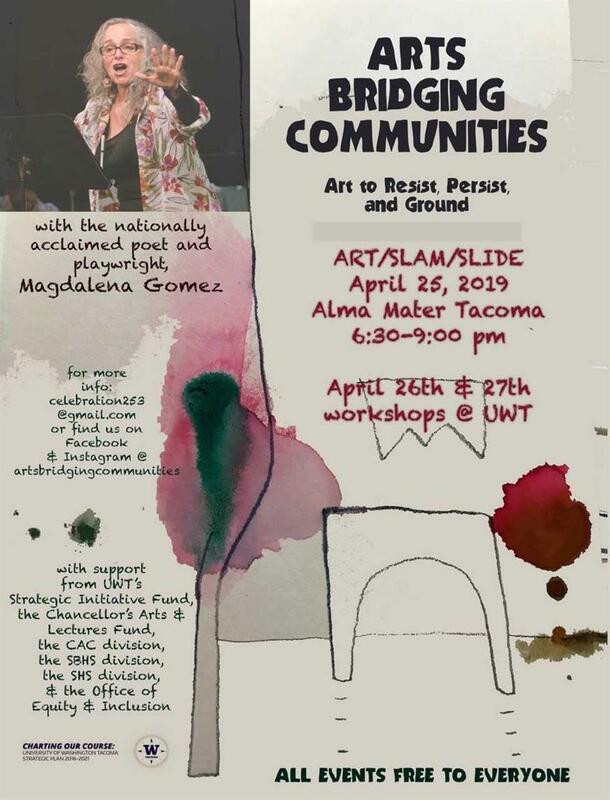 Nationally acclaimed artist Magdalena Gomez will deliver a keynote and multiple artists from the community will share their art with us. This event is free and open to all. The venue' doors open at 6pm. Refreshments will be provided. This event is being held at the cool new Alma Mater event space.